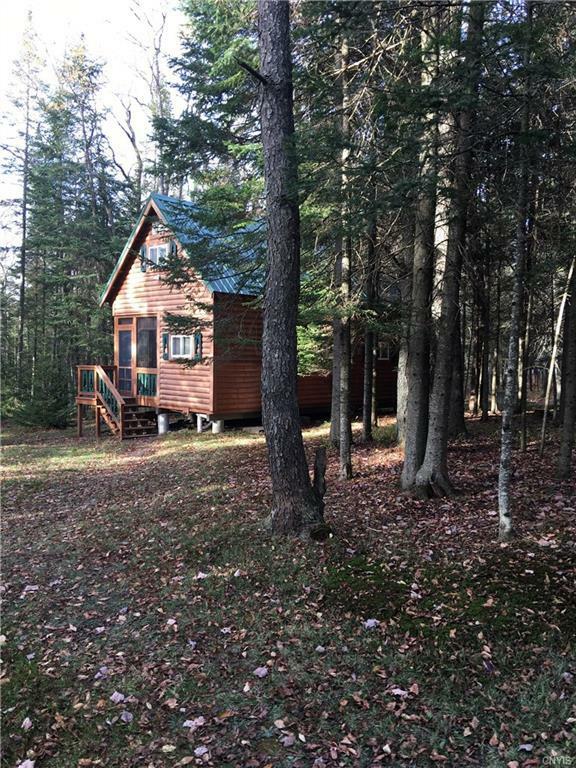 Quiet, secluded camp sitting on 300 feet of Little Woodhull Creek. Propane gas fire place takes the chill off those early Spring and Autumn evenings. Beautiful pine interior still smells brand new a testament to the loving care and upkeep. Easy access to route 28, Old Forge a quick 25 minute drive. Or venture to North Lake for a day of kayaking on a breath taking body of water. Bike ride to the local country store for fresh baked goodies. Welcome to the woods. Directions To Property: Take Route 12 North To Kayuta Drive In Go Right On Dustin Road Across Kayuta Lake. Right At The Stop Sign Pass Buffalo Head And Second Left On Kincaid Road. Approx 1/2 Mile On Left. Look For Sign.